I apologize for the delay with any postings. I just posted a tryout and will fix some tournament listings. It was crazy busy this week. I spent most of the time running errands and nagging Kid #3 about getting ready for school. We then dropped her off for her freshman year in Virginia. The goodbyes get harder and I wonder how it'll go with Kid #4 in 2 years. We stayed overnight in Virginia to start the move-in early the next day. I brought my laptop along and I put together a video with pictures and old clips. I added two songs including "Teach Your Children" (Crosby, Stills & Nash). There were a number of clips and pictures I had left back home, but I was happy with the final product. I placed it on a thumbdrive and I gave that to her before I left. When we departed I told her, "Check what I left you on the thumbdrive". 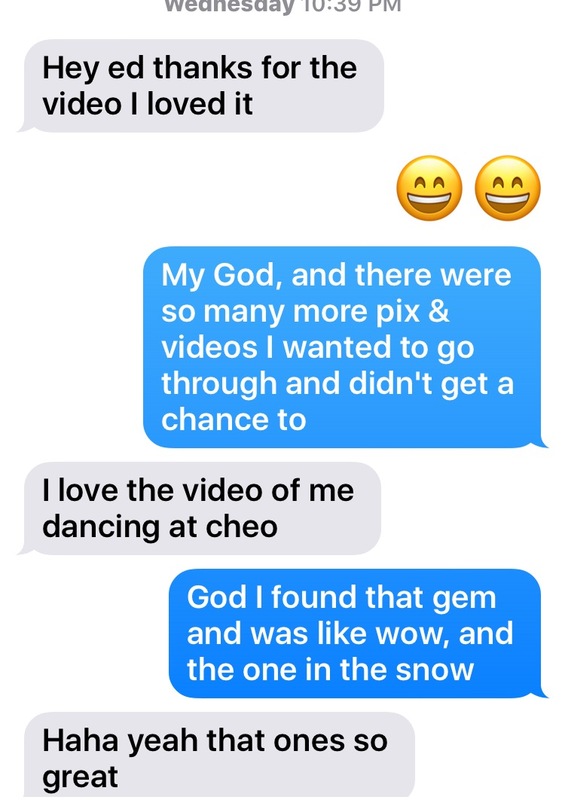 As you'll see from my chat with her, she was also very happy with the video. She was surprised to see a clip of her as a toddler, joking around with her grandfather. It was very special since he passed away last year. Our kids, it's who we make all the sacrifices for. They change us for the best. Many of us carry our phones with us all the time. So, keep snapping those pictures and taking the videos, especially the candid ones. Capturing those memories is another thing they'll love you for.